After almost 11 years and 2 kiddos, we have outgrown our starter home and purchased a new (to us) home in the country. I am super ambitious and ready to become a homesteader ... now! Ha ha! For now, I have a lot of decorating to do! I am a big fan of the upcycled, shabby chic, vintage farmhouse style. Does that make any kind of sense? Well, our 40 year old home still had the original, 40 year old windows. We replaced the windows before we even moved in, leaving us with 30+ old windows ... GOLD! My head is still swirling with possibilities! 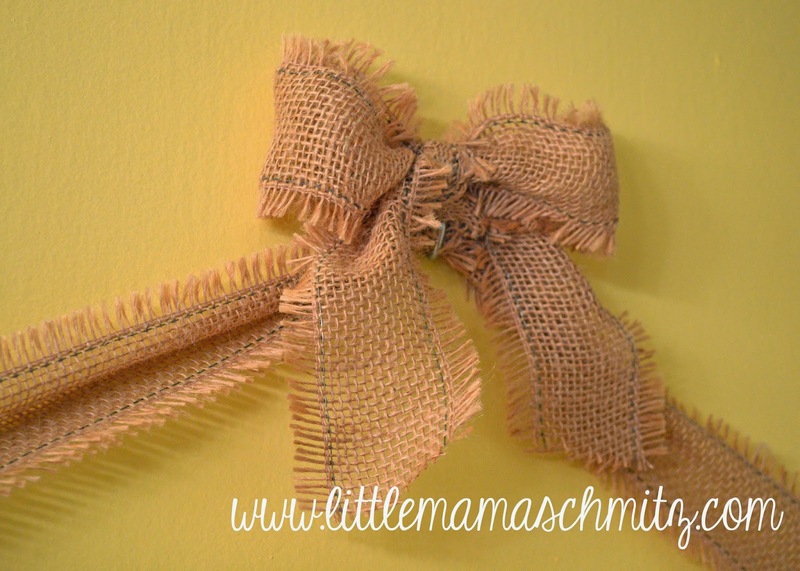 I have finished a few DIY projects and one of them is a hair bow holder for my girly girl! My four year old never leaves home with out a bow, and I make hair bows for local craft fairs. Needless to say, we have a lot of them! I did not take pictures of the steps, because I just didn't think about it. I will try to re-create some of the steps for you to make the instructions easier to follow. 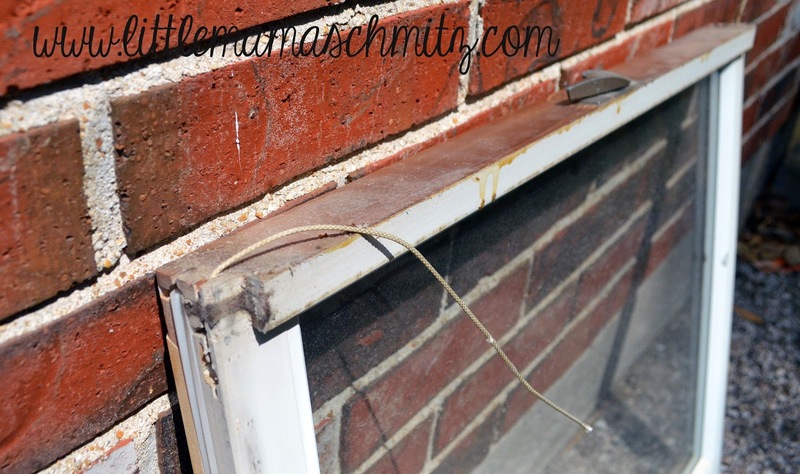 The first thing I did was to clean up the window and remove the hardware and the strings that were hanging from it. Next, I removed the glass. Well, I didn't ... my husband did. I thought that once I popped out the little edge pieces, the glass would come out easily. Not quite! There was a massive amount of sticky adhesive that did not want to release! 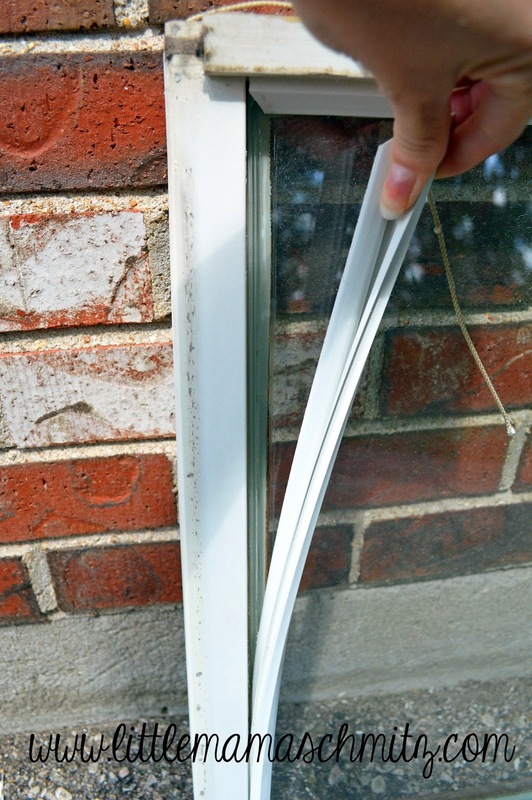 He was able to use a scraper to kind of cut through the adhesive and get the glass out. I chose to paint mine white. I roughed up the wood a little with some sandpaper and layered on several coats of white paint. Then the fun begins, it's time to distress the window! 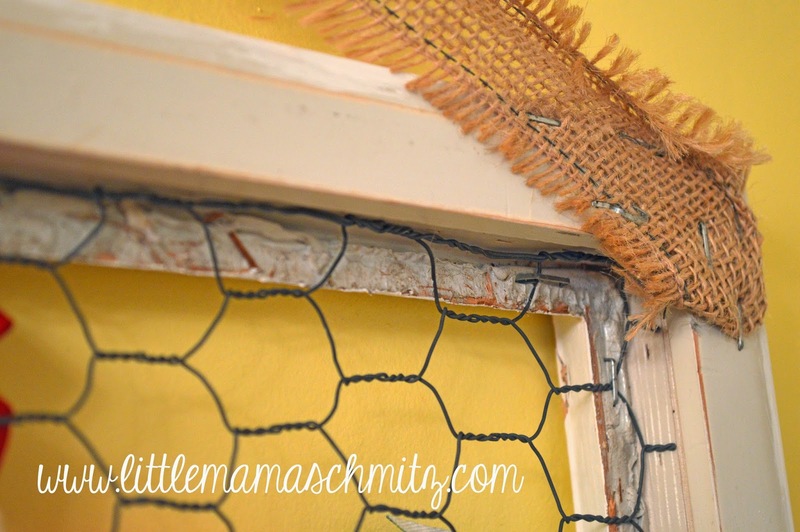 Use sandpaper to remove paint in several places, as much or as little as you like. 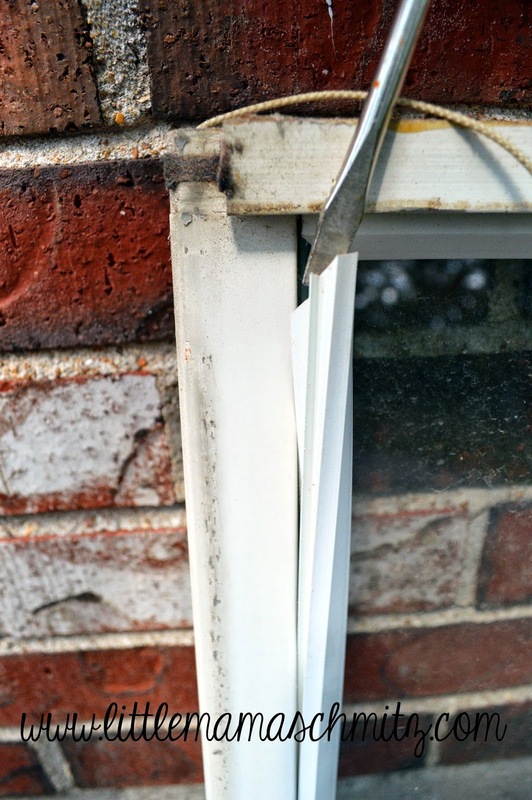 You can also use a chisel or flat head screw driver to take out some little chunks too. 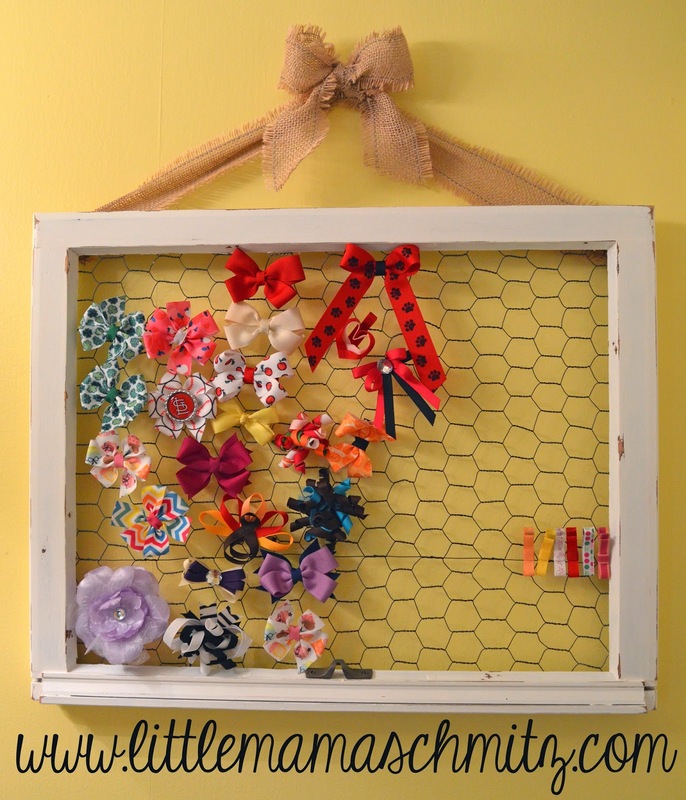 I chose to put chicken wire in where the glass was to clip the bows onto. After it was cut to the appropriate size, I lined it up in the open space. My hope was to then put the edging pieces back in to hold it in place. Unfortunately, they didn't want to fit back in place. No problem! I just stapled it into place. To go along with the distressed look, I thought that burlap would look great. I found ribbon style burlap at the local craft store. The window is actually very light-weight once the glass is removed, so I rolled the ends of the ribbon (to prevent it from fraying and pulling apart) then stapled it into place. Then I tied a little bow for decoration. I decided that I liked the look of the the latch hardware, so I screwed it back into place. Voile!